Used Adams A5 lightweight medium large bore Bb trumpet in gold lacquer. 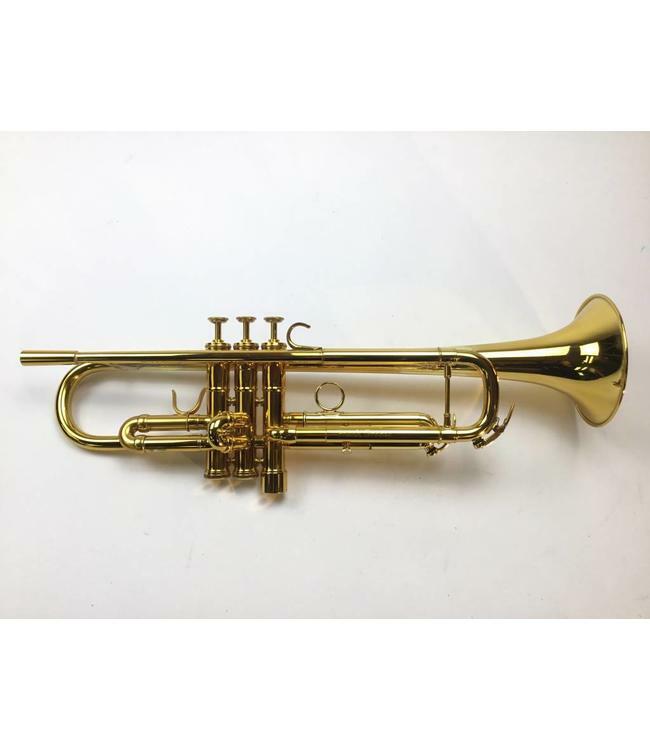 This trumpet is in overall very good condition with lacquer wear indicating bell removal, not affecting playability. Heavy bottom cap on third valve. No case.